2.5" x 2.9" stitched on 14 count. 1.9" x 2.2" stitched on 18 count. 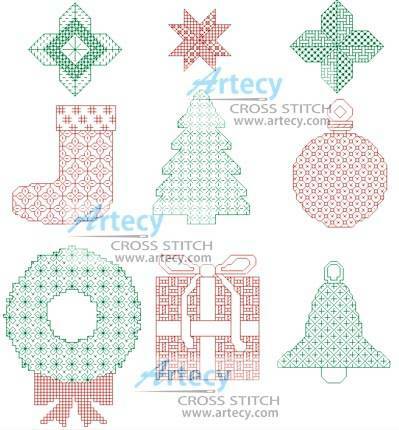 Blackwork Christmas Motifs cross stitch pattern... This counted cross stitch pattern is of six Blackwork Christmas motifs to use on ornaments, greeting cards, etc. Average Finished size 2.5" x 3" using 14count.Only back stitch or Holbein stitch are used in these patterns.